75 Foreigners arrested for Overstaying in Thailand. Face deportation. (sources Googlemaps inc) kindly refer to Googlemaps for accurate calculations. Give your car a thorough service check, including your spare tyre. 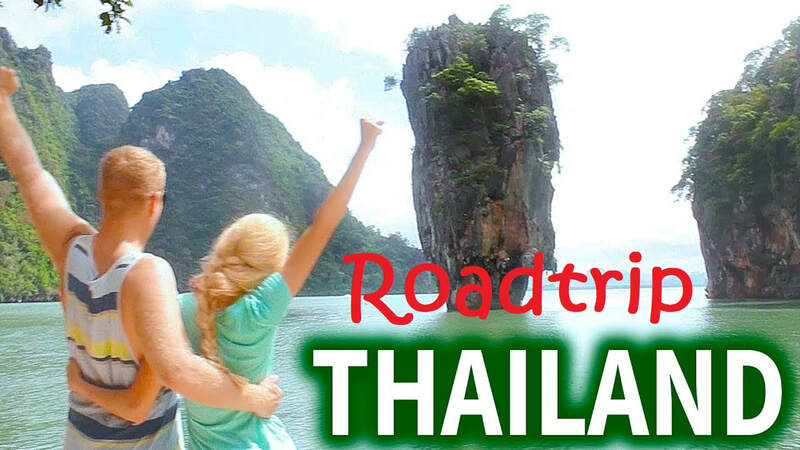 It is about 1,000 km to Phuket. passport, JPJ car registration form, and insurance documents. Know what visa, if any, is required for each member of your party. Get some spare passport photographs for everyone in the party. Decide whether or not you want to extend your comprehensive insurance policy to cover Thailand for the duration of your visit. You can do this through your own insurance company, and it does not cost very much. Work out your travel plans. You can do the journey in one day, but arriving at a hotel at midnight is not appealing to most. We usually take two days for the journey. Pre-book your hotels for peace of mind. 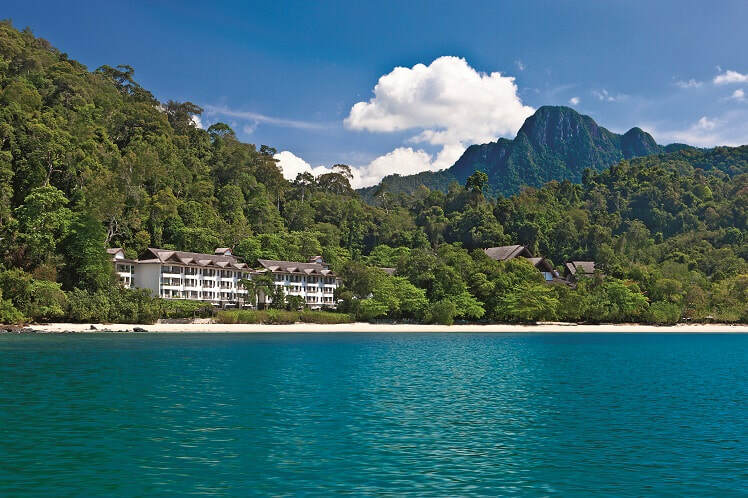 Some suggested towns for an overnight stop are Alor Setar, Trang, Hai Yai, and Songkla. Changlun is also an option. The posts on the edge of the NorthSouth Highway, with their descending numbers marking the kilometres, show the distance to the Thai border so you always know how much further it is to go. The border is about halfway to Phuket. 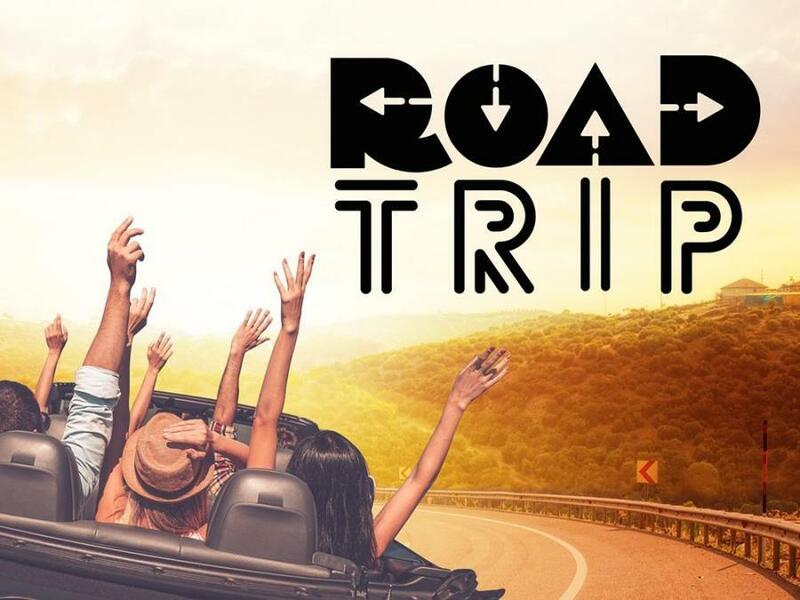 Stop for coffee, fruits, and petrol (and stretch your legs) at the R&R service stations en route. Make sure that you fill up with petrol as late as possible before leaving Malaysia (the last petrol station is a BHP station on the right a bit before the border), as it’s much more expensive in Thailand; in some instances, almost double the price. A full tank before crossing the border should get you comfortably to Krabi or beyond. Hand over your passport and ensure that you receive an exit stamp in it. Without that, they will not let you into Thailand and you will have to return to get one. Stop in here for duty-free goods. While here, make sure that you visit the insurance kiosk. You must have the Thai legal minimum car insurance to continue and this is best place to buy it. It does not cost much and is independent of your own Malaysian insurance. You need your car registration document for this. Next to the insurance kiosk is the desk where you get your car park refund – provided you have spent enough in the duty-free! However, if you haven’t, the cost is only RM1. For those who need a visa on arrival (nationals of many Western countries don’t require this, but others may). Go to the Visa on Arrival Office. Fill in the forms and get your visa on the spot. You might need to prove that you have sufficient Thai Bhat (in cash) to pay for your stay and return. You cannot rely on a credit card for this. Immigration: Most Western expats can go here directly. Join the queue at one of the immigration counters to get your passport stamped. Car Permit: Join the queue at the Car Permit kiosk to complete your car registration. This is done in two stages. First stage: details are entered. Second stage (next window) they complete the formalities. You will need your car registration form here. Once these formalities are completed, you can reclaim your car and drive through the checkpoint. At the Car Permit Kiosk (it is worth while leaving someone here to wait while you get your car) the officer will check that the car is the correct one and give you the Car Permit. Do not lose this form! You are now free to drive into Thailand. The border town offers basic services and is usually a hive of activity. A McDonald’s is here, along with numerous food stalls and carts, a handful of cheap to midrange hotels, a number of dodgy so-called karaoke bars (with scantily clad ladies hanging around outside), banks, shops, and more. 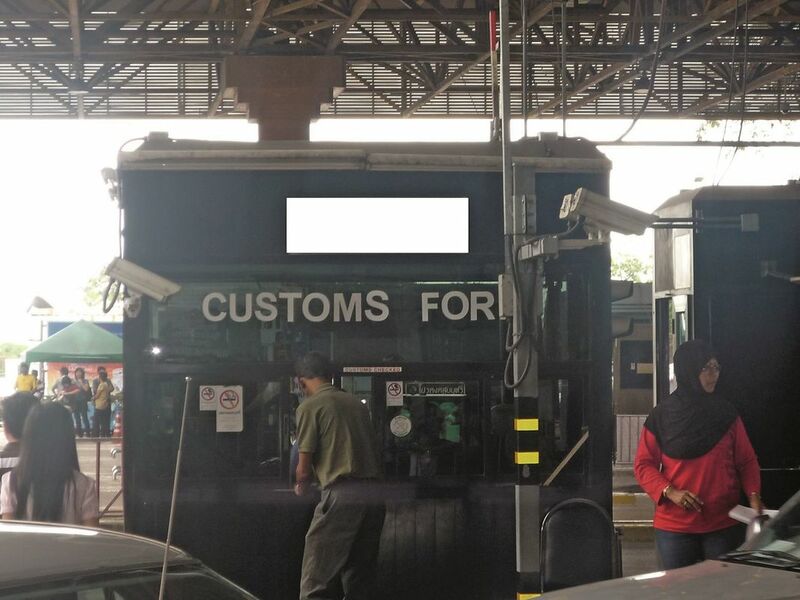 The difference between the Malaysian and Thai sides of the border is palpable and instantly obvious. This town is known as Dannok, though it seems it has no official designation, and it exists almost strictly as a border town. 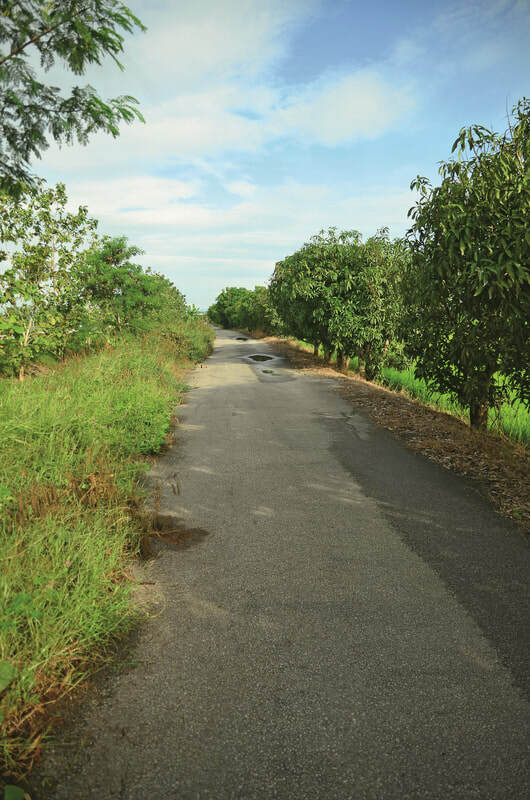 From here, the route to Phuket is simply to follow Route 4. Not far beyond Dannok, there is a diversion through a customs checkpoint, really intended for lorries but you have to drive through it. There is no need to stop. Most vehicles in Thailand seem to be pick-ups, mostly underpowered for their size, and people will regularly drive slowly in the outside lane for hours. Motorcycles will cut across the lane with little warning. Double parking is just as bad – all the things you are used to. Be prepared to see vehicles driving the wrong way down a dual carriageway on the hard shoulder. ​The U-turn opportunities are often few and far between, and it is quicker to drive illegally than to drive several kilometres before finding a U-turn. The traffic is generally light, so this wrong-way driving seldom poses a problem. You might even find yourself tempted to do it! 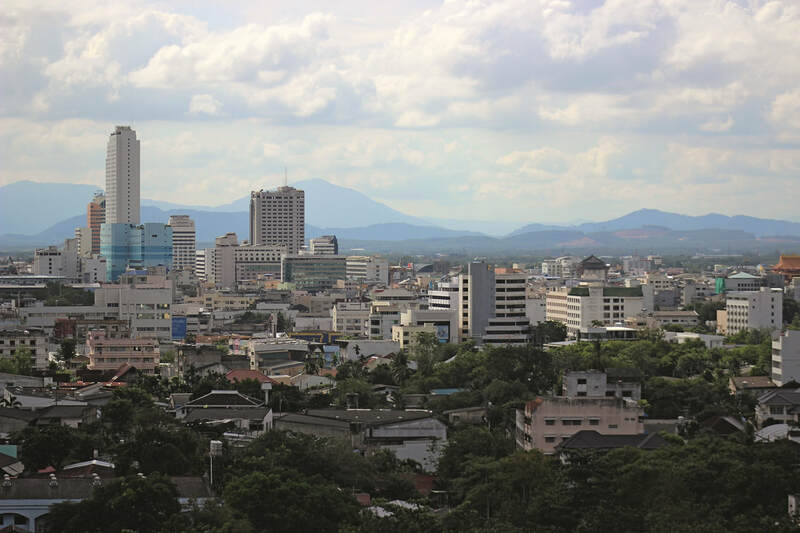 Once you’re beyond the border town area and heading north, the road is dual carriageway for 50km to Hat Yai, though there are quite a few built-up areas and traffic lights. There is a new Tesco on the right just out of Sadao if you need any provisions. You have to do a U-turn to get to it. About 500m after the second railway crossing, turn left (at flyover) onto Route 4 to Phatthalung. 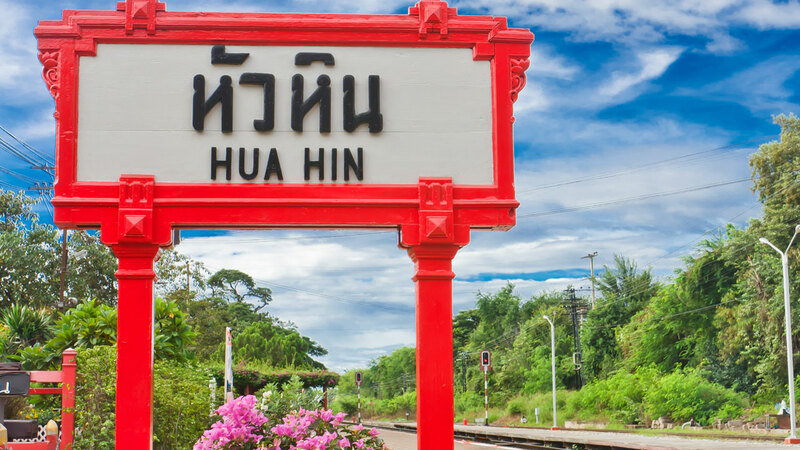 An hour or so later, you should reach Trang, a town that is being developed as a tourist centre for this part of Thailand. It has a new airport and a bypass which circles the town. New roads have been built which provide a few ways through or around the town. It’s advisable to have a map of Trang, or use Waze or Google Maps. A good place to stop for overnight stays or a lengthy break. As before, pre-booking a hotel room here can give you some mental comfort. Beyond Trang follow the signs to Krabi. There are a few possible routes. The best one we found was the 4046 to Sikao till it rejoins Route 4. Do not rely on your GPS for this section. Ours took us through some village dirt roads till we finally found a good road again. ​The route continues north through some interesting scenery. The dual carriageway is not quite complete so at some point you will meet road works but they will not delay you much. There are two junctions at which you have to turn left. About 7km past Krabi, keep an eye out for “Cabbages and Condoms” – an interesting name for a restaurant that may or may not inspire you to stop in to try the food! 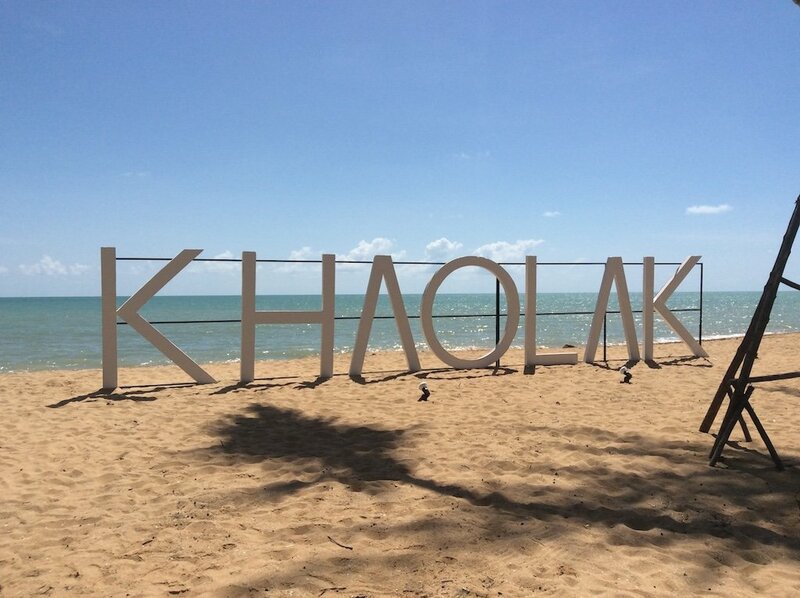 Carrying on, just follow the signs to Phang Na till you find one to Phuket. ​Then, about 400km from the border, you cross Sarasin Bridge to reach the northern part of Phuket Island. There is another checkpoint just over the bridge and then you have about 40km to drive to the south of the island – depends where you are headed. On Phuket, the roads are good. Patong Beach area is crowded with traffic jams, but your car will allow you to visit all the other sites – Gibbon Sanctuary, floating restaurants, Tesco, the Cape, the other beaches and Phuket Town. Golfers can even indulge themselves – you should have room in your car for your clubs. ReturningReturning is just as easy and the route is fairly well signposted. Do not forget to fill up in Krabi so that you can reach the border (and cheaper Malaysian petrol) without wasting money. At the borderRemember, you must return the Car Permit. 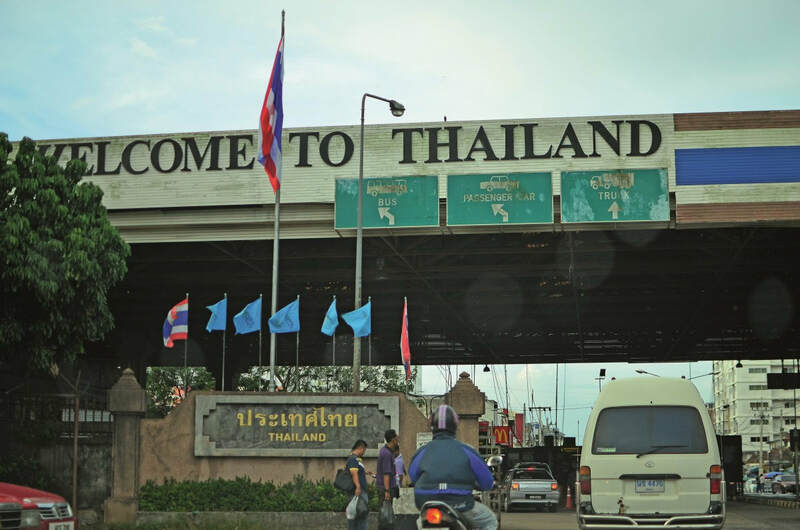 If you fail to return the permit, you will be fined next time for keeping your car in Thailand and overstaying the permit on this visit – even though your passport is clearly stamped saying that you left months ago! Your car will be deemed to be still there until the permit is returned. The permit has an expiry date and the fine is 1,000 bhat per day to overstay (max 10,000 bhat). On your next visit, they will reprint the permit and send you off to pay the large fine. A new immigration facility on the exit side has recently been completed. Procedures are supposedly improved when leaving Thailand. On reaching the border, turn left and immediately collect a piece of paper from the table on the right, then follow the car signs to join the immigration (exit) queue. When you reach the kiosk, everyone has to disembark to check passports. 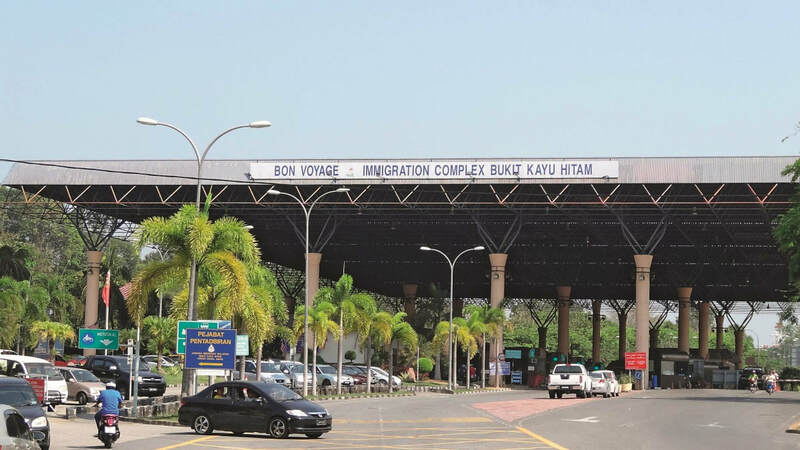 Immediately after is the customs kiosk where you hand in your car document, then you are free to leave the area, cross the border, and turn into the Malaysian Duty-Free area. Then drive to Malaysian Immigration. Stay in the car, hand in the passports, then there’s a toll plaza, customs, and a security post. After that, you’re back in familiar territory with all the stresses of being back on Malaysian highways.